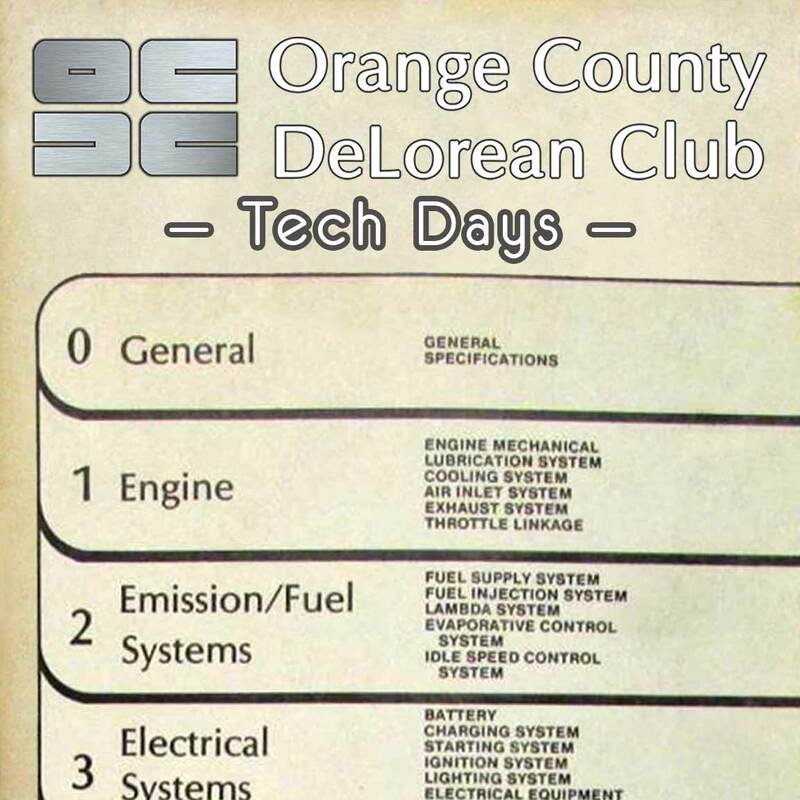 The Orange County DeLorean Club has Tech Days three times a year, on a Saturday in February, June, and November. 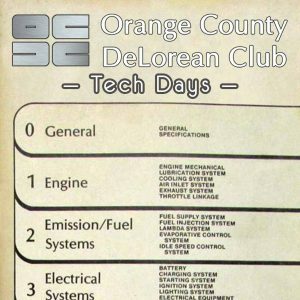 Tech Days are opportunities for owners to tinker and do minor work on their DeLoreans with other owners nearby to give guidance, or even lend a hand. Sometimes that means replacing a fuel pump, installing brake dust shields, doing some stainless re-graining, replacing the incandescent marker lights with LEDs, or just about anything that can be done within a couple of hours. The locations will vary, based on availability. Sometimes we’ll be at owner’s homes or shops, or if we can find a local mechanic who’s willing to host that could work too. If you’re willing to host an OCDC Tech Day, AND you have parking for six to 10 cars, AND space for a pop-up tent and some tables and chairs, contact us and let’s talk details. If you’re interested in attending, make sure you join the mailing list, and subscribe to our Facebook events.